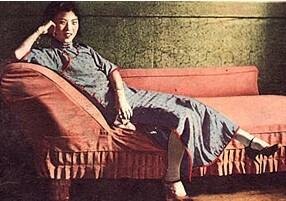 The modernized Chinese dress commonly worn by women in the early decades of the twentieth century is called the qipao. It is a one-piece dress characterized by an upright ("mandarin") collar, an opening from the neck to under the right arm, and a fairly narrow cut, often with a slit, especially if the skirt reaches below mid-calf. In what sense can the qipao be seen as developing from women's clothing styles of the Qing period? The Communist party leader Deng Yingchao (the wife of Zhou Enlai) was wearing this dress when she met with an American writer in 1938. Did this choice of clothing carry any political messages? The cut of the qipao changed constantly, as Chinese women's dress became much more subject to fashion than it ever had been before. This series shows how women's dress changed from 1914 to 1949. 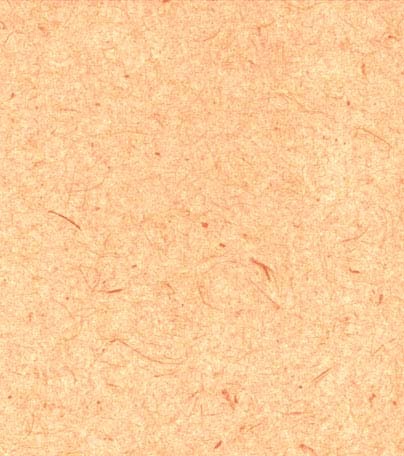 What seem to be the more significant changes? To see a parallel diagram of the changes in men's Chinese style clothing from the same source, click here. The women shown here worked as entertainers in 1920s Shanghai. What do you notice about their clothes? How would you compare the girls' clothing above to that of the movie star, shown below left, or the war protestors, below right? 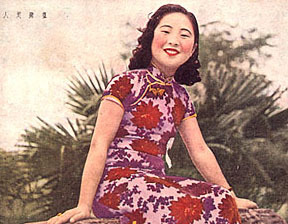 The mandarin collar, one of the essential features of the qipao, sometimes came to be exaggerated for stylistic effect. Here we see three women from 1930s Shanghai who have adopted a high collar style. Prior to the twentieth century, collars had never been so exaggerated. Even into the 1990s, the mandarin collar carried messages about "Chineseness." Here we see a stewardess for China Airlines in 1990.